Linda and her husband have been trying to conceive for over a year, and she's tired. 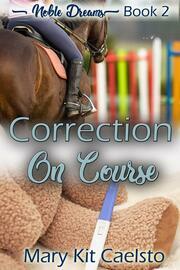 Her fluctuating hormones and the side effects from the fertility drugs are making her sick and affecting her riding. When an accidental tumble from her mare leads her husband to give her an ultimatum, Linda may have to choose. Her marriage and a chance to be a mother or her equestrian dreams. Before she has a chance to make a decision, she develops life threatening complications and her attempt at a perfect life is turned upside down.